The full cast of celebrities from the Dancing with the Stars Season 27 lineup has just been announced on Good Morning America! Joining previously announced stars Joe "Grocery Store Joe" Amabile, Nancy McKeon and Milo Manheim is an exciting roster that includes an American Idol mentor, the first ever blind contestant to take part in the show, an alumnus from Hogwarts School of Witchcraft and Wizardry, a Duke of Hazzard, and an Olympic Gold medal-winning gymnast, among others. 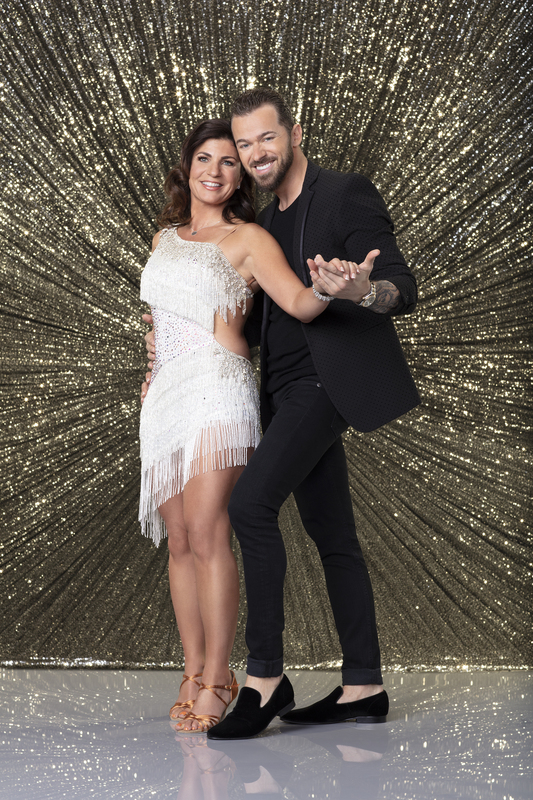 Don't miss the DWTS Season 27 premiere MONDAY SEPTEMBER 24 8|7c on ABC to see the new Dancing with the Stars cast of celebrities making their ballroom debuts! 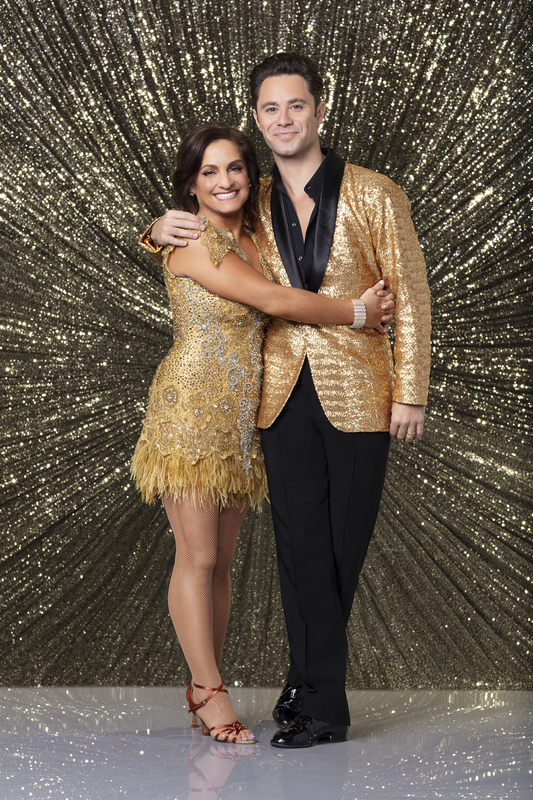 RELATED VIDEO: Get to know the new dancing partners by watching their "Meet the Cast" videos now! Alexis Ren is one of the most famous social media models today. She began her modeling career at the age of 13 working at Brandy Melville. Since then, Ren has garnered huge social media recognition with over 12 million fans across her social networks. She recently campaigned with Calvin Klein and Tommy Hilfiger and was on the cover of Maxim's August 2017 edition. Recently she received the acclamation of being Rookie of the Year for Sports Illustrated Swimsuit Collection 2018. Dubbed "The most powerful man in country music" (Forbes), Bobby Bones continues to be an unstoppable force. With a "fiercely devoted following" (Washington Post) tuning into his nationally syndicated radio show, "The Bobby Bones Show" broadcasts to more than 120 stations and is the #1 Country morning show with millions of listeners each week. With his undeniable knack for recognizing and supporting new talent, Bones brought his expertise to the latest season of ABC's American Idol as mentor. He is also a touring stand-up comedian, philanthropist and chart-topping comedy artist – a true "jack of all trades" (ESPN). At the age of 13, Danelle Umstead was diagnosed with Retinitis Pigmentosa, a genetic eye condition where the retina progressively degenerates and eventually causes blindness. She has no central vision and is losing her peripheral vision. Currently, her spotted vision limits her sight to less than five feet without any detail. Her father, Peter, first introduced her to adaptive skiing in 2001. Skiing not only gave Danelle her life back, it also led to meeting her husband Rob while skiing in Taos, New Mexico in 2005. As Team Vision4Gold, Danelle and Rob have won 3 Paralympic Bronze Medals, 4 World Championship Medals and over 50 Alpine Skiing World Cup medals. Danelle and Rob made history at the 2010 Vancouver Winter Paralympic Games as the first husband and wife visually impaired ski race team to compete and medal for Team USA. DeMarcus Ware is widely regarded as one of the greatest defensive players in NFL History, and is projected to be a first-ballot NFL Hall of Fame candidate upon his eligibility in 2021. Ware was selected in the 1st round (11th overall) by the Dallas Cowboys in the 2005 NFL Draft and spent nine seasons with the franchise (2005-2013). He is the Cowboys' all-time leader in sacks (117) and forced fumbles (32). He was signed by the Denver Broncos in 2014, where he helped lead the team to victory in Super Bowl 50. He retired in March 2017 after 12 illustrious seasons in the NFL. Evanna Lynch is best-known for playing the role of Luna Lovegood in Warner Bros' Harry Potter film franchise, adapted from the best-selling book series of the same name. In 2010, Lynch scored a Best Supporting Actress nomination for Spike TV's SCREAM Awards and a Best Performance in a Feature Film nomination for the Young Artist Awards. Most recently, Lynch completed a two-month run at the Off-Broadway Irish Repertory Theatre in NYC as the co-lead of Enda Walsh's cult classic play, Disco Pigs. Nowadays, Lynch, an active philanthropist, devotes her free time largely to Animal Rights and Welfare advocacy and works to promote compassion and respect for animals. In late 2017, she launched a weekly podcast, The ChickPeeps, where she explores and educates listeners on the topic of living a vegan lifestyle. Lynch is also a proud ambassador for the Lumos Foundation and for STAE (Save the Asian Elephants), and has worked with UNICEF, Free The Children, The MS Society of Ireland and the Harry Potter Alliance (The HPA). Formerly one of the youngest traders on the Chicago stock exchange, Joe Amabile turned a successful career in big finance into a successful career in small business. He followed his family's footsteps in the grocery store world, where he bought his own store. Lovingly referred to as "Grocery Store Joe," Amabile was a fan favorite on The Bachelorette season 14 and went on to appear on Bachelor in Paradise season 5. John Schneider is best known for the iconic role of Bo Duke on the hit series The Dukes of Hazzard, as well as starring roles on Smallville, Tyler Perry's The Haves and the Have Nots, and more. In addition to his extensive acting career, he is a celebrated country music artist with 10 albums to his credits and four #1 singles on the Billboard Country chart. This year, Schneider has launched an ambitious 52-song project, The Odyssey, releasing a song a week throughout 2018. A greatest hits collection is also due in October. For more information, visit his official website at JohnSchneiderStudios.com. Juan Pablo Di Pace is an Argentine-born actor and director with an extensive music theatre background. Multilingual and fluent in English, Spanish and Italian, Di Pace began his career in the United Kingdom appearing in the London musical, Chicago. He then played the role of Danny Zuko in the Trieste production of Grease in Italy, which he also directed. Di Pace is best known for his role as the passionate Fernando on Netflix's original series, Fuller House, and for the iconic role of Jesus Christ on NBC's A.D. The Bible Continues, produced by Mark Burnett and Roma Downey. He is heavily featured in the film classic, Mamma Mia!, alongside Meryl Streep, playing the role of Petros. As a musician, Di Pace recorded three original cast albums - Mamma Mia, The Movie Soundtrack, Saturday Night Fever and Mas de 100 Mentiras - and released an album for his One Man Show, Primer Acto (Act One). Mary Lou Retton catapulted to international fame and ignited a new era of American dominance in gymnastics during the 1984 Summer Olympics, when she became the first American woman to win a gold medal in gymnastics, scoring two perfect 10s along the way. She would win five medals during the 1984 Olympics, the most won by any athlete during that summer's games. She was also the first woman ever to appear on the iconic Wheaties box. In 1997, she was inducted into the International Gymnastics Hall of Fame. Retton retired from competitive gymnastics in 1986. Today, Retton is a renowned motivational speaker and corporate spokesperson who travels the world as a "Fitness Ambassador," promoting the benefits of proper nutrition and regular exercise. She remains deeply involved in the gymnastics community and is the mother of four daughters, all of whom are accomplished athletes, as well. Milo Manheim is an up-and-coming American actor born and raised in Los Angeles. He was discovered when casting director Amber Horn saw his performance as Roger in the musical, Rent. This was a pivotal point in his budding career as she brought him in to audition for a new Disney Channel musical, Zombies. After eight call backs, Manheim got the coveted role of Zed. Zombies premiered on February 26, 2018. He is set to appear in season three of ABC's American Housewife. Nancy McKeon is an actress, director and producer best known for playing the role of Jo Polniaczek on the beloved long running 1980s sitcom, The Facts of Life. She has since appeared in many other television series, including leading roles on the police drama The Division, the sitcom Can't Hurry Love, with Mariska Hargitay, Style & Substance, with Jean Smart, and as the mother of Demi Lovato's title character on Disney's Sonny with a Chance. Nikki Glaser currently hosts Comedy Central's first live daily morning show, You Up with Nikki Glaser, for SiriusXM. Previously, she hosted, co-created and executive produced the critically acclaimed show Not Safe with Nikki Glaser, for Comedy Central. In film, Glaser appeared in Judd Apatow's Trainwreck, for Universal, and Henry Phillips' movie, Punching the Clown. On TV, she has fun guest star roles on NBC's A.P. Bio and Freeform's Alone Together, and she previously appeared on Adam Ruins Everything, Inside Amy Schumer and @Midnight. Her highly praised Netflix stand up special premiered last summer, and she has done sets on The Tonight Show Starring Jimmy Fallon, Conan and Late Night with Seth Meyers. Not only does the multi-platinum-certified R&B disruptor Tinashe sing, write and dance, but she also produces, mixes, engineers, creative directs and edits. As a result, she blazes past any and all boundaries. Co-mingling seductive R&B, edgy pop and a nocturnal electronic sensibility, she emerged as a fascinating, focused and fiery outlier in 2014 with her full-length debut, Aquarius. Powered by the double-platinum smash "2 On" [feat. ScHoolboy Q], the album crashed the Top 20 of the Billboard Top 200 upon arrival before popping up on many of the top year-end lists. Between touring alongside everyone from Katy Perry and Nicki Minaj to Maroon 5, she revved up the official mixtape, "Nightride." Tinashe also has a presence in the worlds of beauty and fashion, as well. Presently, Tinashe is carefully preparing more new music heading into 2019. 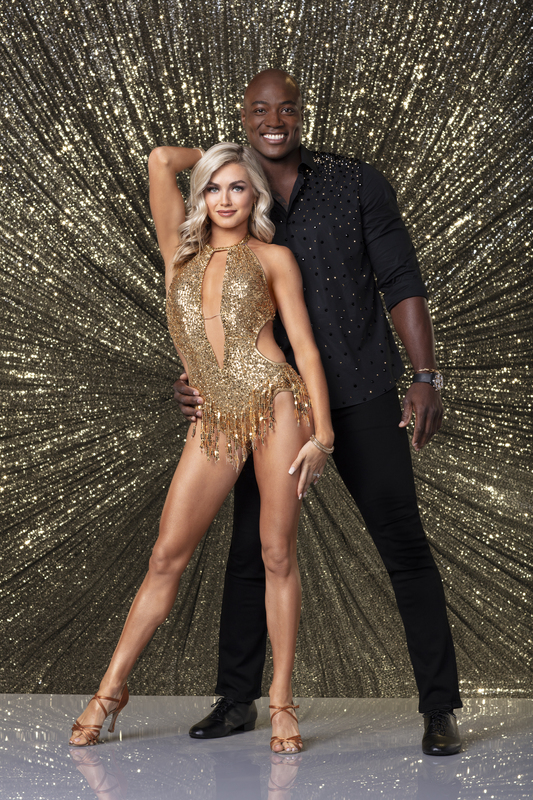 This season, highlights will include newly-engaged pros Val and Jenna Johnson facing off on the dance floor, Cheryl Burke's return, and troupe member Brandon Armstrong making his debut as a Pro! The star-studded premiere event will be a night of fun and unforgettable, show-stopping dancing. The competition kicks off with an all-new cast of celebrities, who will be judged by the panel of renowned ballroom experts Len Goodman, Carrie Ann Inaba, and Bruno Tonioli, as well as voted upon by viewers. While all the stars will go on a transformative dancing journey, in the end, only one star will be crowned champion and take home the coveted Mirrorball trophy.